ADRIFT (2018). If it’s not quite as exciting as watching Roy Scheider (or even Blake Lively) square off against a particularly pesky shark, there’s still enough of interest to keep the nautical drama Adrift afloat. Headlined by two YA stars — Shailene Woodley of Divergent and Sam Claflin from The Hunger Games — Adrift is based on a 1983 incident later detailed in the 2002 book Red Sky in Mourning: A True Story of Love, Loss, and Survival at Sea. Those who are unfamiliar with the true-life tale might want to shut their eyes during the film’s opening credits, since the acknowledgment of the authors somewhat serves as a spoiler and hints at how this drama ultimately plays out. Woodley plays Tami Oldham, a 23-year-old free spirit who hooks up with 34-year-old Richard Sharp (Claflin) as she’s out exploring the world. Both enamored with the ocean, they fall in love and get engaged. Richard ends up agreeing to sail his friends’ luxurious yacht from Tahiti to San Diego, but he won’t do it without Tami by his side. And so off they go, little aware of the raging storm that will damage the boat and possibly take their lives. Adrift recalls 2013’s All Is Lost, which found Robert Redford’s taciturn loner similarly stuck at sea with only his wits to keep him alive. Whereas All Is Lost was basically an existential one-man show, this one is as much a sweet love story as a grueling survival tale, although its realism is tempered with flights of fancy. Whether this latter angle strengthens or weakens the picture will differ depending on each viewer — more detrimental is the decision to tell this tale with flashbacks and flashforwards, a narrative device that often breaks the mounting tension of watching this couple trapped on a waterlogged vessel and facing almost certain death. Blu-ray extras include audio commentary by Woodley and director Baltasar Kormakur; a making-of piece; and deleted scenes. 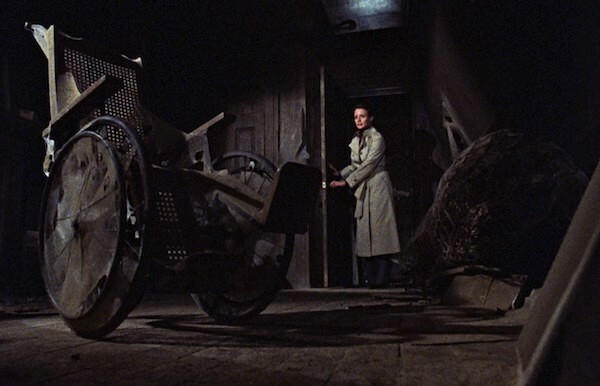 THE CHANGELING (1980). Although this Canadian production was embraced in its homeland — it won a total of eight Genies (aka that country’s Oscars), including Best Motion Picture — it was only moderately received stateside. 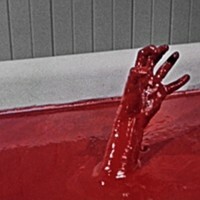 Yet like many a fine film, its stature only grew over the ensuing years, and it wouldn’t be a stretch to state that it’s now considered a minor classic of the “haunted house” genre — even Martin Scorsese included it on his much publicized list of his 11 favorite scary movies (clearly, Marty responds to ghosts, as over half of his picks involve malevolent spirits). Much of the credit goes to director Peter Medak, who opts for exposition and atmosphere over jump-scares and other cheap dramatic devices. After a somber opening that finds New York-based composer John Russell (George C. Scott) losing his wife and daughter in a horrible vehicular mishap, the film turns its attention to John’s new place of residence: a Victorian-era mansion located in Seattle. John soon discovers that the property is haunted, but as he investigates further with the assistance of a realtor (Trish Van Devere, Scott’s real-life wife) and the hindrance of a powerful senator (Melvyn Douglas), he realizes that he’s perhaps wrong about the identity and the intent of the specter. Even stripped of the ethereal elements, The Changeling would have made for a compelling murder-mystery, but the supernatural sheen only adds to its power and unexpected poignancy. Blu-ray extras include audio commentary by Medak and producer Joel B. Michaels; a piece on the allegedly true story that inspired the film; interviews with music arranger Kenneth Wannberg and art director Reuben Freed; and a still gallery. HEREDITARY (2018). Newbie writer-director Ari Aster makes a startling film debut with Hereditary, the sort of slow-burn horror yarn that gets under the skin with needlepoint precision. 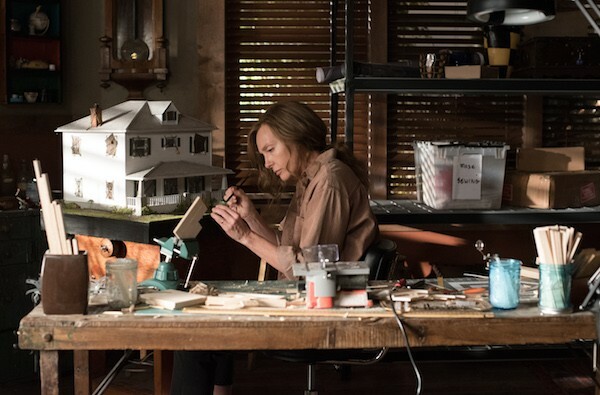 Toni Collette delivers a bravura performance as Annie Graham, an artist whose mother has just passed away. Annie and Mom weren’t close, but the tensions don’t end there. Mental illness runs in Annie’s family, and her relationships with her son Peter (Alex Wolff) and daughter Charlie (Milly Shapiro) are, at best, awkward. 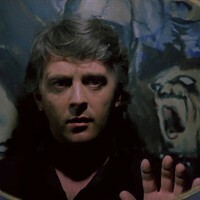 For his part, Annie’s husband Steve (Gabriel Byrne) patiently tries to keep everyone calm and behaved, yet that proves exceedingly difficult once tragedy hits the family unit and matters take a supernatural turn. Although there are moments of shocking brutality and gore, Aster’s emphasis is on establishing and maintaining a sense of genuine dread. Such an approach places the picture in the company of such earlier works as Rosemary’s Baby, Vampyr, Diabolique and the underrated ‘70s effort The Mephisto Waltz — high praise indeed. If this film never quite ascends to their heights — that climax is awfully busy and rather rushed, and a central character is disappointingly shoved to the sideline — it’s nevertheless an impressive calling card that Aster can whip out at future studio pitches. Yet potential viewers should approach with caution: For the most part, Hereditary is a love-it-or-leave-it exercise, with many scribes and audience members praising it as an instant horror classic upon its theatrical release this past summer while others found it simply icky, unbearable, and awful. Blu-ray extras consist of a making-of featurette; deleted scenes; and a photo gallery featuring the miniatures shown in the film. 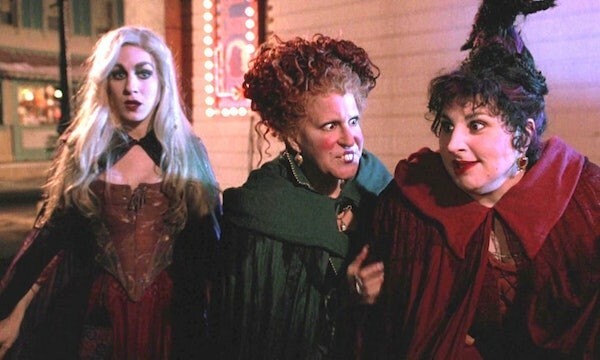 HOCUS POCUS (1993). A middling box office performer during the summer of '93 (even the heavily lambasted Last Action Hero grossed more), this Disney comedy has since emerged as a favorite around Halloween, though it strictly remains more "trick" than "treat." After being hung in 1693 Salem, three witches (Bette Midler, Sarah Jessica Parker and Kathy Najimy) reawaken 300 years later, ready to wreak havoc once more; the only ones who can stop them are three kids (Omri Katz, Thora Birch and Vinessa Shaw) and an immortal black cat that can occasionally talk to humans. Midler (made up to look like a Cats reject) and her two co-stars are clearly game but ultimately defeated by tiresome characters, and, under the supervision of director Kenny Ortega (of Newsies notoriety), the entire production (including the visual effects) looks garish and cut-rate — a recurring problem with many live-action Disney flicks from the period. The highlight would have to be the engaging scene in which Midler leads her backups in a rousing rendition of Jay Hawkins' "I Put a Spell on You"; the lows are too numerous to mention, though the comic antics of a shuffling zombie and the utterly embarrassing cameos by sibling filmmakers Penny and Garry Marshall (cast as a bickering married couple) immediately spring to mind. The 25th Anniversary Blu-ray Edition of Hocus Pocus includes a “Trivia & Treats” mode, which offers picture-in-picture extras such as deleted scenes, vintage interviews with cast and crew members, storyboards, and trivia facts. The release also contains a vintage making-of featurette. 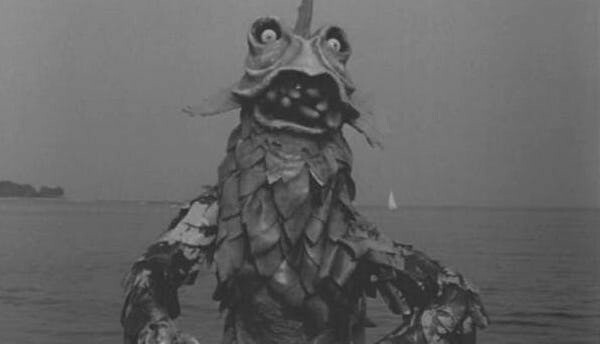 THE HORROR OF PARTY BEACH (1964). Although it was eventually featured on a cherished 1997 episode of Mystery Science Theater 3000, The Horror of Party Beach was a favorite of bad-movie buffs long before its enshrinement on the beloved TV series. It was a staple on late-night television in the 1970s, and the 1986 book Son of Golden Turkey Awards featured it in the category of “The Worst Beach Movie Ever Made,” where it beat out the likes of The Beach Girls and the Monster and How to Stuff a Wild Bikini. After a barrel of radioactive waste is dumped into the ocean, sea monsters with bulging eyes and what appears to be sausages stuffed into their mouths rise from the murky depths to attack fun-loving teenagers as they shimmy to such tunes as “Wigglin’ Wobblin’” and “The Zombie Stomp” (performed by The Del-Aires, who doubtless were never confused with The Beach Boys). Billed upon its initial release as “The First Horror Monster Musical,” it’s a hybrid of a creature feature and a beach-party picture – and it’s awful on both counts. 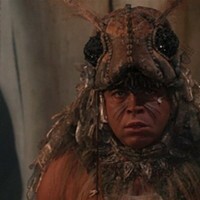 Yet like Robot Monster, Eegah! and other grade-Z atrocities, it’s the sort of mindboggling film that triggers amusement rather than anger at its absolute ineptitude — meaning it’s an absolute must-see for connoisseurs of turkey cinema. Interestingly, director Del Tenney’s other 1964 release, The Curse of the Living Corpse (featuring no less than Roy Scheider in his film debut), is comparatively more accomplished — incidentally, both were paired on a successful double bill back in the day. Blu-ray extras consist of a retrospective making-of featurette; an archival interview with Tenney; an interview with Del-Aires band members Bobby Osborne and Ronnie Linares; a discussion of rock & roll horror movies; and the theatrical trailer. THE HOT ROCK (1972). Robert Redford has stated in interviews that the upcoming film The Old Man & the Gun will mark his final on-screen appearance, as he plans to permanently retire from acting. While his presence will be missed, it’s fortunate that we can always revisit him in the approximately 50 motion pictures he’s made over the past 56 years (with some early TV appearances thrown in for good measure). Those seeking something a little more off the beaten path than The Natural or Butch Cassidy and the Sundance Kid should check out The Hot Rock, an entertaining caper yarn that proved to be an underachiever at the box office. 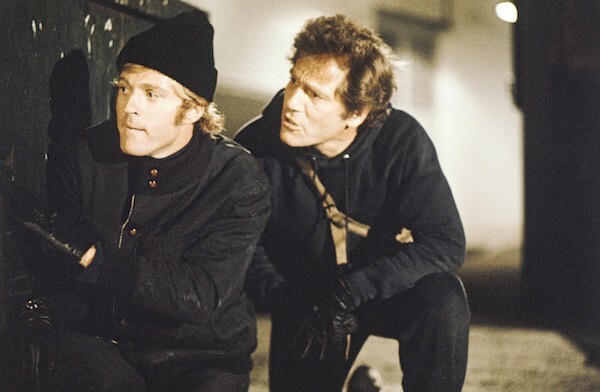 With ace screenwriter William Goldman working from Donald E. Westlake’s novel, this finds Redford cast as John Dortmunder (a recurring character in Westlake books), a career criminal who embarks on another heist the moment he’s released from prison. Along with his brother-in-law Andy Kelp (George Segal), Dortmunder agrees to steal the Sahara Stone from the Brooklyn Museum and hand it over to an African dignitary (Moses Gunn) who insists that it belongs to his country. To fill out their team, Dortmunder and Kelp acquire the services of talkative Stan Murch (Ron Leibman) and quirky Allan Greenburg (Paul Sand), but while all four men are adept in their assignations, a series of comic mishaps leaves the quartet feeling hapless and helpless. Zero Mostel adds to the merriment as the type of lawyer who’s unscrupulous enough to sell out his own son (which in this case turns out to be Allan Greenburg). Quincy Jones provides the jazzy score, while Frank P. Keller and Fred W. Berger earned an Oscar nomination for Best Film Editing. Blu-ray extras consist of audio commentary by film historians Lem Dobbs, Julie Kirgo and Nick Redman; the theatrical trailer; and an isolated track of Jones’ score. THE NAKED AND THE DEAD (1958). Norman Mailer’s notorious 1948 novel has been transformed into a flawed yet fascinating motion picture, one that traffics in gritty intensity yet also makes room for the expected concessions to convention and cliché. World War II is raging, and General Cummings (Raymond Massey) hopes to emerge victorious against the Japanese during his campaign in the Pacific. 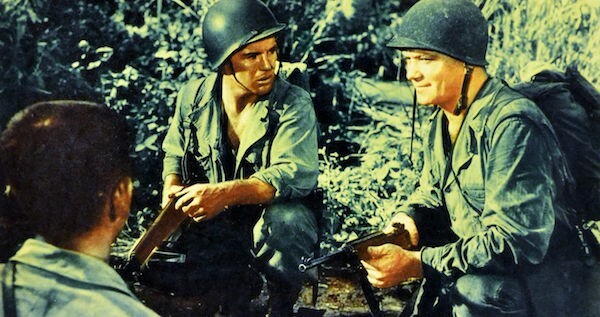 The power-hungry Cummings believes in instilling fear in his underlings, a stance not shared by the humanistic Lieutenant Hearn (Cliff Robertson). For his part, the cruel Sergeant Croft (Aldo Ray) is mainly interested in killing the enemy, although he also spends plenty of time bullying his men, various barroom women, and even an injured bird that he crushes with his bare hand. The discussions between Hearn and Cummings provide the picture with its philosophical underpinnings, while the frequent treks through the jungle terrain allow director Raoul Walsh to indulge in the expected action set-pieces. As with any “men on a mission” movie, expect a wide range of character types to fill out the roster: Here they include the decent Gallagher (Richard Jaeckel), the cynical Red (Robert Gist), Jewish buddies Roth (Joey Bishop) and Goldstein (Jerry Paris), and good ole boy Woody Wilson (an ingratiating turn by L.Q. Jones). Due to the pesky Production Code, the graphic nature of the novel had to be severely neutered for the film version (not surprisingly, Mailer reportedly detested the picture), but the movie nevertheless packs plenty of punch, particularly in Ray’s savage portrayal. 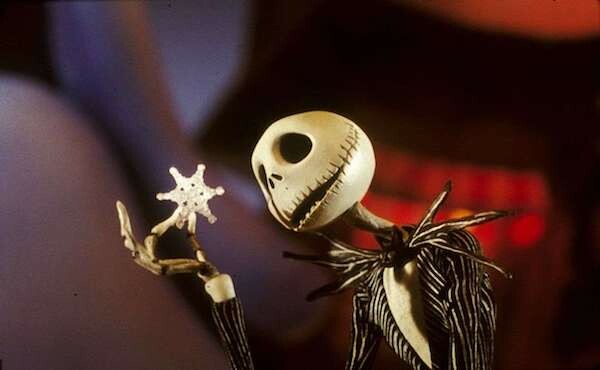 THE NIGHTMARE BEFORE CHRISTMAS (1993). Tim Burton has always exhibited an inclination to frolic with the freaks, so to speak. Like David Lynch, he finds beauty in what others deem unsightly; as a result, his movies have generally centered on societal misfits trudging through a Dali-esque landscape, often in search of acceptance from those who have rejected them. This 1993 release is no exception: It tells of one Jack Skellington, the spindly Pumpkin King who helps mastermind the mischief behind Halloween. But Jack begins to tire of his lot in life, and one day he discovers another annual occasion for festivities: Christmas. Tremendously moved by the goodness of the Yuletide season and wanting to be a part of it, he orders his minions to kidnap "Sandy Claws" and dons the old red-and-white himself. But instead of visions of sugar plums, he serves up shrunken heads, skeletal reindeer and other macabre items that quickly take the ho-ho-ho out of the holiday. On a visual level, the movie qualifies as poetry in stop-motion, as Burton (credited as creator and co-producer) and director Henry Selick take this infrequently used facet of animated artistry to giddy heights. Danny Elfman presents a melodious song score fashioned after a Broadway musical; he also provides the singing voice for Jack (Chris Sarandon handles dialogue duty). The 25th Anniversary Blu-ray Edition of The Nightmare Before Christmas includes the option of watching the film in sing-along mode. Extras carried over from earlier Blu-ray releases include audio commentary by Burton, Selick and Elfman; a making-of piece; Burton's classic short films Frankenweenie and Vincent; deleted scenes; and Burton's original source poem narrated by Christopher Lee. SCENES FROM A MARRIAGE (1974). The best "slice of life" movies allow the viewer to feel like a fly on the wall, but with Scenes from a Marriage, Ingmar Bergman goes even further: He makes the viewer feel like a fly pinned to the wall, privy to everything going on in the room but unable to flee from the scene when things get nasty. And in this powerful look at a "happy" marriage destroyed from within, things do get nasty, resulting in devastation so complete, it's the emotional equivalent of Sherman's trek through the South. Editing down a 5-hour miniseries he had created for Swedish television in 1973, Bergman presents a 2-hour-50-minute drama about Marianne (Liv Ullmann) and Johan (Erland Josephson), a longtime married couple whose lives spin out in unexpected directions once he leaves her for a younger woman. Johan's hair-trigger cruelty toward Marianne barely conceals the self-doubts that keep him tethered to their relationship; conversely, his actions force her to tentatively step outside their carefully constructed existence to discover her own voice. Besides being an art-house hit, the film did well with the critics' groups and even the Golden Globes, but nitpicking Academy rules prevented it from being eligible for that year's Oscars. No matter: This raw and uncompromising motion picture has endured as one of Bergman's finest achievements. Criterion’s new Blu-ray edition contains both the U.S. theatrical cut as well as the original television miniseries. Extras consist of a 1986 interview with Bergman; 2003 interviews with Ullmann and Josephson; and a 2003 discussion with Bergman scholar Peter Cowie comparing the film and TV versions. TAG (2018). 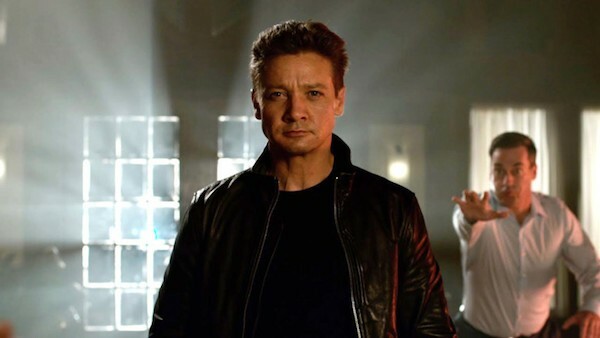 Hawkeye was noticeably MIA in Avengers: Infinity War, but you can catch his alter ego Jeremy Renner in this hit-and-miss comedy with slightly more hits than misses. The most startling trivial pursuit regarding this film is that it’s based on the true story of 10 men who have spent the last few decades taking one month out of every year to play a game of tag, with the final person tagged forced to be “It” for an entire year until the next cycle. Attempting to focus on 10 individuals would turn the film version into, well, basically an Avengers movie, so the decision was made to downsize to five guys. The plot centers around the fact that one man (Renner) has never been tagged in all the decades of playing. Thus, the other four gents (Ed Helms, Jon Hamm, Hannibal Buress and Jake Johnson) have long been determined to nail him, and they feel this is finally their year. Too many modern comedies include an idiotic character who’s allowed to utter supposedly shocking declarations (thanks a lot, Zach Galifianakis) — these guys are never as funny as intended, and that’s the case here with Johnson’s tiresome slacker. Yet Hamm again demonstrates sly comedic chops, Buress is gifted most of the best lines, and Isla Fisher (as Helms’ exuberant wife) is a delightful dervish. The real story is primarily one of friendship, but the emphasis here is on rude pranks and crude one-liners. That’s perfectly fine — the film is often very funny when it’s going for the throat — but it does render the sentimental final act soggy and not particularly convincing (and the dire fate of one character is brought up and then abandoned in a haste to a happy ending). Overall, though, there are enough bright bits and engaging performances to give Tag a pass. Blu-ray extras consist of deleted scenes; a gag reel; and a piece on the men who inspired the film. UPGRADE (2018). 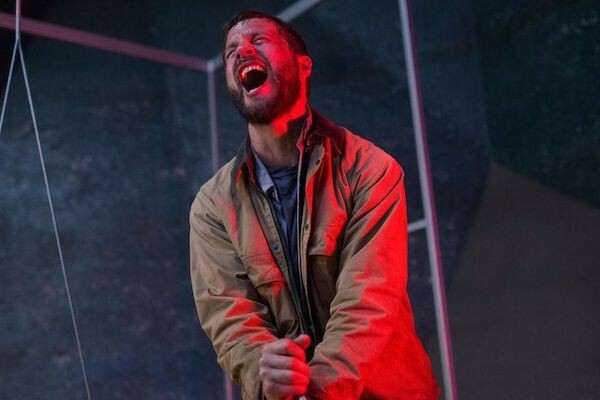 With its emphasis on technological toys, its slightly futuristic setting, and its fondness for disturbing and downbeat developments, Upgrade feels like an episode of Black Mirror that somehow managed to break free from its Netflix surroundings and emerge unscathed on the big screen. Now hitting Blu-ray and DVD, it seems even more of a piece with that exceptional show, even if its roots also snake back to such movie-house offerings as Death Wish, Ex Machina, RoboCop and The Matrix. Written and directed by Leigh Whannell (best known for penning the first Saw and the first Insidious), this finds old-school Grey Trace (Logan Marshall-Green), the type of guy who prefers to work on vintage automobiles than play around on computers, blissfully married to Asha (Melanie Vallejo), an executive at a high-tech company. After an attack by four mysterious assailants leaves Asha dead and Grey paralyzed, eccentric inventor Eron Keen (Harrison Gilbertson) steps forward with what he calls STEM, an AI implant that allows Grey to regain control of his body. It’s a blessing and a curse, as Grey can again move but must also contend with the voice of STEM (Simon Maiden) inside his head. 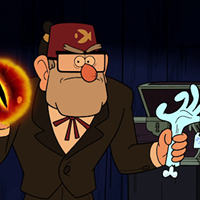 Still, when STEM is permitted by Grey to take control of his body, it transforms him into a dynamic fighting machine able to mete out bloody justice against those who murdered his wife. Far from a simple revenge thriller with a sci-fi bent, Upgrade instead offers enough twists and turns in its storyline to keep viewers engaged right up through its socko finale. THE LAST HUNT (1956). The 1950s gave rise to so many exemplary Westerns that it’s not surprising a few have largely been left behind in the dust. The Last Hunt is one ripe for rediscovery, spinning a unique tale of two cowboys — one cruel (Robert Taylor), the other sensitive (Stewart Granger) — who make their living as buffalo hunters. 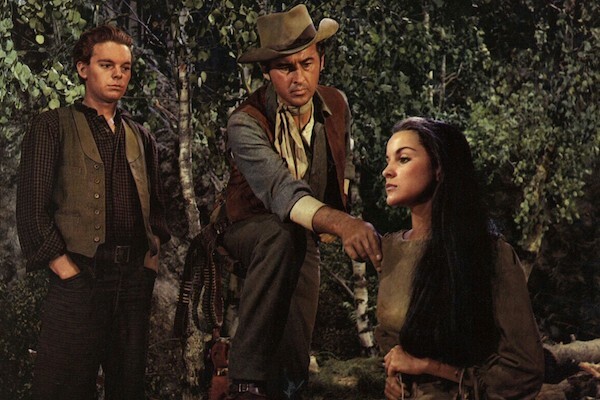 Along for the journey are a boisterous skinner (Lloyd Nolan), a young boy (Russ Tamblyn) who’s half-Indian and half-white, and a Native American captive (Debra Paget) who’s desired by both hunters. Granger makes his character’s innate decency palpable — it’s a strong performance comparable to James Stewart’s efforts in the genre — and the film admirably ends with a whimper rather than the expected bang. One word of warning: The buffalo deaths shown in the film were not staged, as government marksmen were engaged in an annual thinning of the herd as the picture was being made. Blu-ray extras consist of two vintage promotional excerpts from the TV series MGM Parade, and the theatrical trailer. RAPID FIRE (1992). 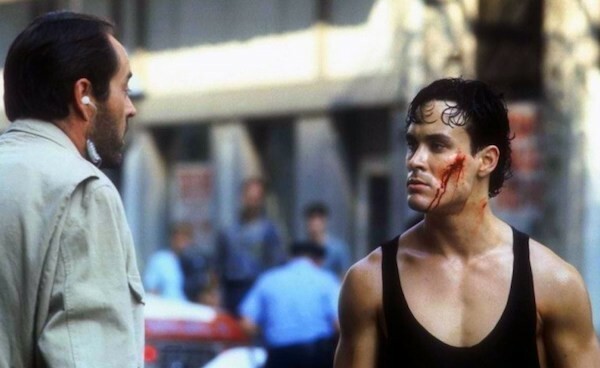 Best known as Brandon Lee’s first headlining role in a motion picture — he tragically died seven months after its release, killed in an on-set accident while filming The Crow — Rapid Fire is otherwise a disposable action yarn about an art student (Lee) who’s still haunted by the death of his father during the Tiananmen Square Massacre in ’89. But his subsequent decision to remain a passive bystander in all matters gets upended after he witnesses a mob hit and finds himself being pursued by warring gangster factions, corrupt FBI agents, and one good cop (Powers Boothe, attempting to add color to an underwritten role). The martial arts mayhem is too frequently pushed aside for the usual emphasis on gunplay, while the various characters' quips are more clunky than clever. 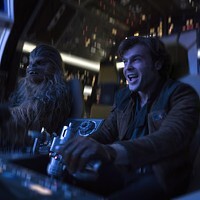 Blu-ray extras consist of audio commentary by composer Christopher Young and film historian Nick Redman; a behind-the-scenes featurette; a piece on Lee; the theatrical trailer; and an isolated track of Young’s score.